Literacy starts at birth or, as research suggests, in utero. Health Canada has recognized that literacy is a determinant of health. The evidence shows a strong relationship between early positive literacy experiences and improved brain development. The Montreal Children’s Hospital is working in partnership with The Centre for Literacy via health care providers to promote literacy and engage families in reading. The programme integrates literacy promotion into health care practice, and provides books to families of children who visit or stay at The Montreal Children’s Hospital. The project objectives include creating a hospital orientation to literacy and health, and building community resources to support such a program. All children aged 0-5 who visit selected clinics receive a book in their mother tongue. 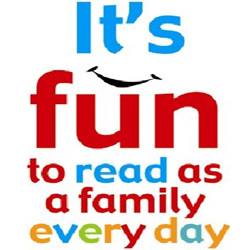 Parents are given a bookmark and information that explains the importance of reading for child development, encourages visits to local library and/or bookstores, and to continue a habit of reading. Health care professionals screen families for literacy orientation (i.e. Is reading an important activity? Are parents experiencing difficulties reading?) and refer the parent to adult literacy services when appropriate. The outpatient waiting room has a “reading corner”. Volunteers read to children to model reading for parents, and to help decrease the stress of waiting. All wards have volunteers trained to read to individual children. A new program with teenage mothers and their infants started in 2010. Biblio-Express offers books and encouragement to read to hospitalized children. Books for Babies gives books to parents in the NICU. The pilot project began in March 2007, in The Montreal Children’s Hospital’s four primary pediatric clinics: Pediatric Consultation, Residents’ Continuity, the Multicultural Clinic, and the Neonatal Clinic which follows children at risk for developmental delays after an admission to the Neonatal Intensive Care Unit (NICU). Annual celebration of Family Literacy Day at The Montreal Children’s Hospital helps raise family and staff awareness about the importance of literacy. For staff and support professionals, workshops and consulting services provide background on current literacy research, highlighting the links between literacy and health. In 2010 a needs assessment was carried out with staff who participate in the programs and educational modules are being prepared. This project has been supported by the Alva Foundation, generous donors to The Montreal Children’s Hospital Foundation, The Montreal Children’s Auxiliary and The Centre for Literacy.